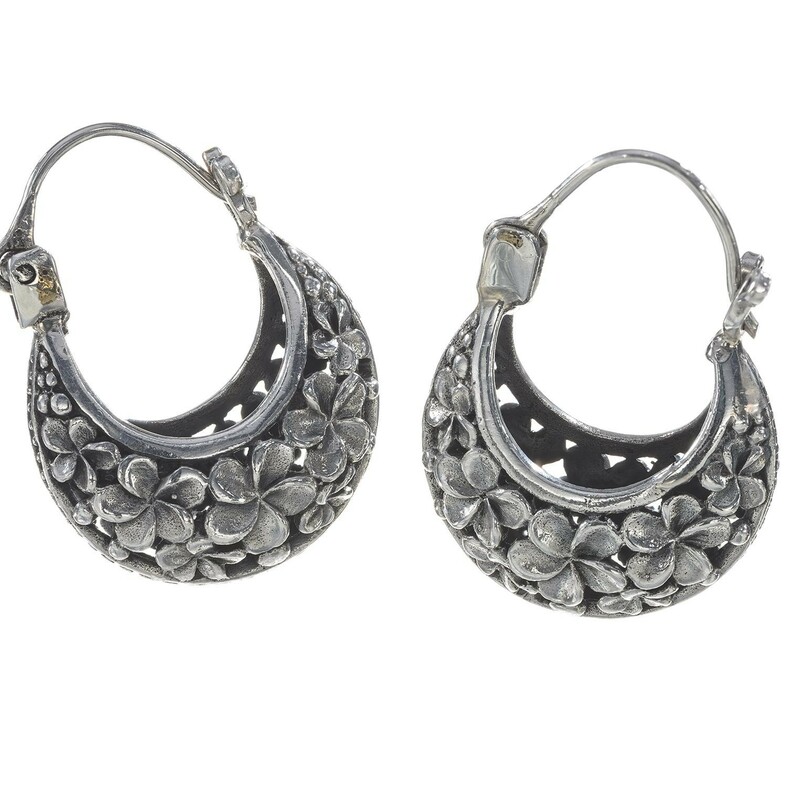 Finely-crafted ornamental earrings with an intricately-detailed floral design. Let these handmade, sterling silver earrings become the latest unique addition to your wardrobe. Produced by a local silvers... Read more. Finely-crafted ornamental earrings with an intricately-detailed floral design. Let these handmade, sterling silver earrings become the latest unique addition to your wardrobe. Produced by a local silversmith artisan in Bali.